# 158 A journey through the Psalms. 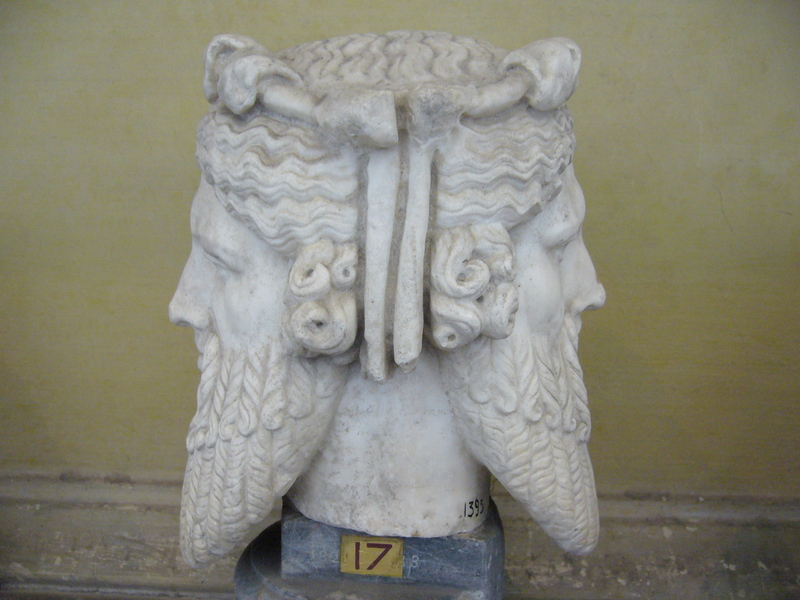 Psalm 40 “A Janus-like two-way look” – Tehilim (Psalms) – "songs of praise". One of the important aspects of being human is the ability to both look back and to look forward. Hopefully, but sadly not always, we learn things from our past experiences that then benefit us into the future. So far, we have considered verses 1-8 and so today let’s take a look at the rest. I’m sure you’ve met the person who talks of believing in God but then adds that it is a private affair and he doesn’t talk about it. Not so David in this psalm! In verses 10-11 he makes it very clear that there is nothing secretive about his relationship with God. In fact,he wants everyone he meets to hear of the wonders that God has performed in his life. Of His righteousness, faithfulness,saving help and His love. Despite all the good things God has done in his life and how many times He has helped him, when he looks around, the psalmist sees that life still continues to bring its share of problems, and therefore more opportunities for God to act on his behalf. Sometimes these are caused when his sins have overtaken him. At other times by his enemies, those who want to take his life and who desire his ruin. And so, he again calls out for God’s help. And so, from reflecting on the past divine deliverances, then considering his present troubles, he moves confidently into thoughts of the future, and he prays. His prayer looks forward to God’s answer when he and others who trust in God will rejoice and be glad in you, saying “The Lord is great!” He then concludes with a very personal note: you are my God. Is it your desire to live your life in order that others can also be “glad in God”? Do you know this gladness in God in your life? If so, are you seeking to make other glad in Him? Lord Jesus, thank you that you are the same yesterday, today and forever. You know all things and you are totally trustworthy. Thank you that we can experience your joy in our lives, no matter what the circumstances. May our lives, lived in the joy and gladness of God cause others to desire this joy and gladness in God for themselves. Amen. Previous # 157 A journey through the Psalms. Psalm 40 It’s all about Jesus!